Hear the word "acid" and we automatically think "danger". Doing without Linoleic Acid, however, is the real danger. 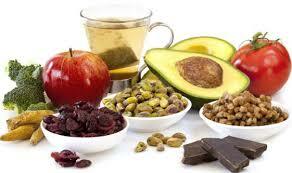 Linoleic Acid is a polyunsaturated fatty acid and is part of the Omega 6 fatty acids, found in many vegetable oils. is required by our body to make ceramide 1 linoleate. The Ceramides play a vital role in the formation of the lipid bi-layers, found between the cells of the stratum corneum (outer layer), that keep your skin strong and resilient. 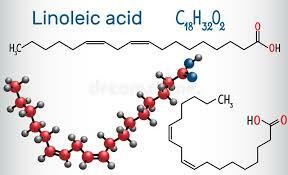 Lack of Linoleic Acid can create other problems, including acne, dry skin, dry hair, poor nails, flaky scaling skin, poor wound healing and even depression. It is no surprise then that Linoleic Acid is often used as an ingredient in beauty products for the treatment of these same problems. It is used as an emulsifier, and in the making of soaps and quick-drying oils; it is also used as for its anti-inflammatory, acne reduction, and moisture retention properties. Linoleic acid also stimulates hair growth, maintains a healthy scalp conditions, and will control water loss in your hair.